Titan Seal container seal (Container seals, Пломби за контейнери, Sigurnosne brtve za kontejnere, Σφραγίδες δοχείων, Konténer plombák, Sigilli per container, Containerplomben) is used to secure shipping containers, trucks and trailers. 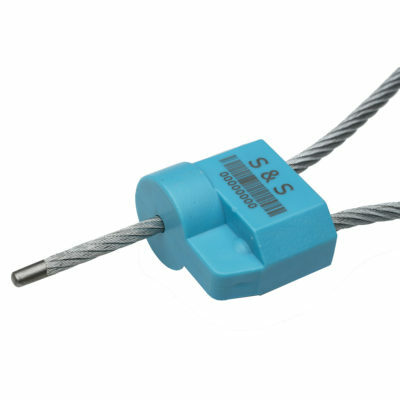 A Titan Seal used for securing containers must conform to the ISO 17712 high security seal in order to be accepted by customs all around the world in ocean shipping. The C-TPAT (Customs Trade Partnership Against Terrorism) specifies ISO 17712 compliant security seals to be used. Titan Seal is generally closed by hand (by pushing the seal body and head together) and opened with the use of wire cutters because of the strong metallic wire. This provide a strong and secure security seal for transportation, while remaining convenient for staff in ports and warehouses. Metal security seals (Метални пломби, Metalne sigurnosne brtve, Μεταλλικές σφραγίδες ασφάλειας, Fém plombák, Sigilli di sicurezza metallo, Metallplomben) are certified for domestic and international shipping and other applications that require a high degree of closure and protection. Usability: shipping containers, truck general cargo, courier freight forwarder, airway cargo, oil & gas industry related, and basically all the applications with a high degree of closing and security are asked for. 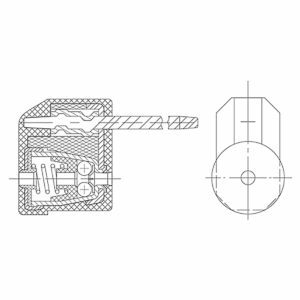 There are several basic designs of the metal security seals: bolt seals, ball seals and cable seals. The metal seal can be individualized to fit the needs of the user. Typical marking includes logos, consecutive numbering, and barcodes. Laser engraving is the main technology of printing on metal seals body. In this regard the personalized print is very fine and strong adhered to metallic body of the seal and can not be erased intentionally or under any conditions of using them. It is the case of Titan Seal container security seal.